Your municipality is the best source of information regarding curbside trash collection and may have special collection days available for other waste items. 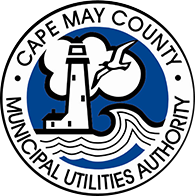 If you are seeking to dispose of waste on your own, there are two CMCMUA Facilities available: a Sanitary Landfill and a Transfer Station. When you enter either facility you must complete an Origin Form prior to entering the scale. At the scale, you will be directed to a location to dispose of your items. For facility locations and hours click here . Each facility accepts different materials. Please check the Facility Origin Form , the User Fee list, and/or call 609-465-9026 for more information. If you would like to set up an account contact 609-465-9026 Extension 1255. For information about CMCMUA Recycling Programs, please use the Recycling Information drop down menu on the cmcmua.com homepage. Last Modified Feb. 27, 2019, 2:38 p.m.